To Dayna Weststeyn, sonography and photography are both forms of art and science. 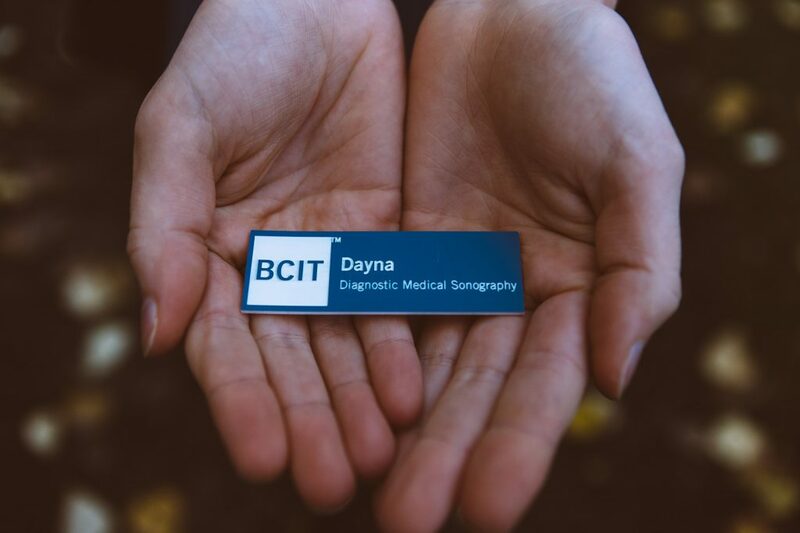 As a fashion photographer and a student in BCIT's Diagnostic Medical Sonography program, Dayna's lifestyle is solid proof that two seemingly opposite interests are just two sides of the same coin. Here she reveals her connection to both types of images, and how she balances both practices. When did you get into photography and what first interested you in it? Just over two years ago. 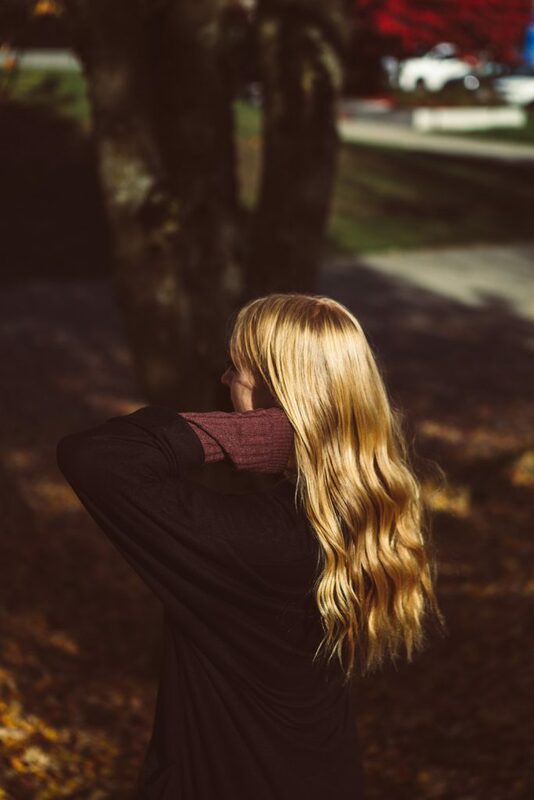 My dad has done photography for many years. He does a lot of nature photography. I went with him a lot and he started teaching me how to take photos. Around the same time, my boyfriend Tor purchased a used camera and began doing nature photography as well. I learned from both of them and did a lot of landscape and scenic photography. I really fell in love with it and began doing it as a hobby. I love the creative process involved with photography. My post-secondary education is very science focused and everything is structured. Photography is quite relaxing for me and is a great mental break from studying. It was something my boyfriend and I could do together, so we had a lot of fun with it. He’d bring his camera and I’d bring my dad’s. I would take photos of him whenever we went out and I discovered I loved portrait-style photography. Like me, he likes being on the other side of the camera, so I looked for ways to find people to photograph. I found an online Facebook group where photographers, models, make-up artist and designers could post shoot ideas and castings. I posted a casting of my own and got a great response. I watched retouching videos online and practiced creating more dramatic images. Eventually, I started incorporating make-up artists and local Vancouver designers. I loved getting to come up with my own ideas and create unique editorials with local creatives. My boyfriend started taking an interest as well. We do all our shoots together now. 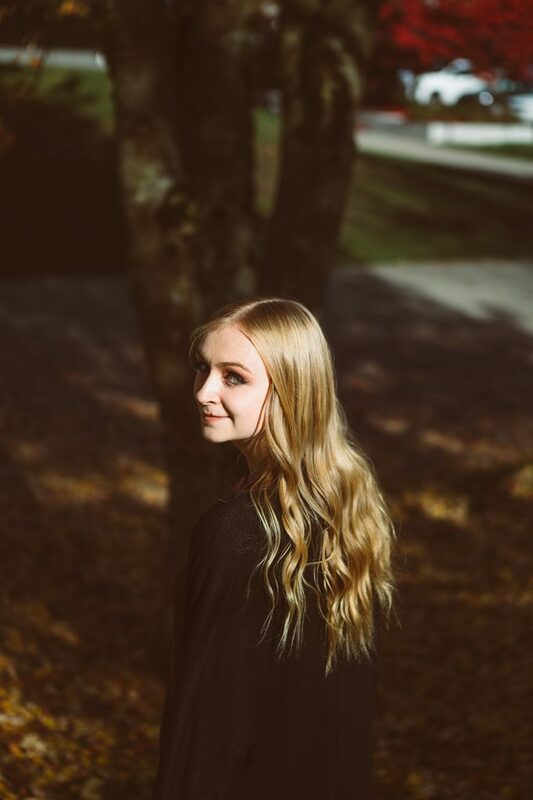 As we met more people in the industry, we started attending fashion events, being published in magazines, and being recognized by local modelling agencies. Fashion is such a crazy industry - there are always bizarre trends and runway looks. We get to come up with artsy concepts and capture some of these trends through our photos. Tell me a bit about your photography process. I find inspiration for shoots in many ways. Often through reading print and online fashion magazines, meeting different creatives and watching various fashion events. Sometimes Tor and I will be driving by a new location and the location will inspire me to come up with a corresponding editorial. Lately, Tor and I have been doing more paid work, so I structure my ideas around a concept or series of inspiration images provided by the client. For a fashion editorial, the next step is figuring out whether to use local designers or source clothing from my current wardrobe. For simple shoots or paid work, I do the wardrobe styling myself with input from the client. I have a few make-up artists I work with quite frequently. Once I’ve determined the location, clothing, and have a reference photo of the model, I ask the artist I feel is most suited for the shoot. We then set up a time to meet and complete the shoot. Beauty is much simpler to organize because the shoots are generally done in the studio and require a makeup artist, but no fashion styling. For the editing process, I use Photoshop. This makes a significant difference in the final images. It is very time consuming to edit in a way that keeps the photos looking as natural as possible. I remove blemishes, but maintain as much skin texture as possible. I find that many photographers change the appearance of certain features of their models in post processing. This is not something I do in my images; I like people to look the way they are in their photos. I don’t feel the need to change their appearance. Once the editing process is complete and I’m happy with the images, I’ll send them out to the team and often will submit them for publication. "I like people to look the way they are in their photos. I don’t feel the need to change their appearance." You did your undergrad in Biomedical physiology at SFU. What was that experience like? SFU was a great school, though the environment was very different. I did twelve semesters in a row to finish my degree in four years. I took an average of four classes each semester, and one to two per summer semester. Most of the students in this major call it the “pre-med” degree because they plan on attending med-school after graduating and this degree encompasses all of the requirements. That was my original plan as well. Around the end of my second year, I realized I no longer wanted this career path. I wanted more time to do things I love as well and not just focus all my attention on school. I also didn’t want such a high-pressure job. I still did my best to maintain high grades and left it open as a “just in case I change my mind” option but decided to explore other career paths. Do you see a connection between art and science, between your photography and sonography studies? Definitely! In sonography, we are looking at human anatomy in real time. The main portion of the exam is assessing and looking for normal function or for any pathology that may be present. Once we are happy with what we have assessed, we will image the anatomy and present the findings to the doctor. I get to do imaging of anatomy for ultrasound and imaging of nature, people, and things for my photography! Our professors say that sonography is an art as well. You’re applying the science but being able to do the actual scanning and assessing takes time and practice. I get to learn how to incorporate these two together throughout the next two years or so. How do you balance your work and art with your school life? Over the summer, I worked extra to save up for school. I worked at the Children’s Hospital for Provincial Health Services Authority (PHSA) for the first month and a half, while working my Physio assistant job as well. I worked part time throughout high school and undergrad to help pay tuition. The ultrasound program is really demanding and they recommend you don’t work at the same time. I received a scholarship from BCIT that covers some of my costs and I have some money saved up so I don’t need to work while I complete the program. I’ve had to cut down on the amount of photography I do and restrict it to about one paid shoot per week. I am already booked up every weekend until the end of November, when I’ll have to study for finals. I have some awesome shoots lined up. I love having the shoots lined up on the weekends — it gives me something fun to look forward to and forces me to stay up to date on homework and studying to make time for it. Do you have tips for any aspiring photographers? I would recommend trying out a variety of styles and taking lots and lots of pictures. Being creative and practicing your skills is such a great way to learn. I am self-taught, and I found constructive criticism from retouchers or professional photographers is also a great way to improve on your current images. 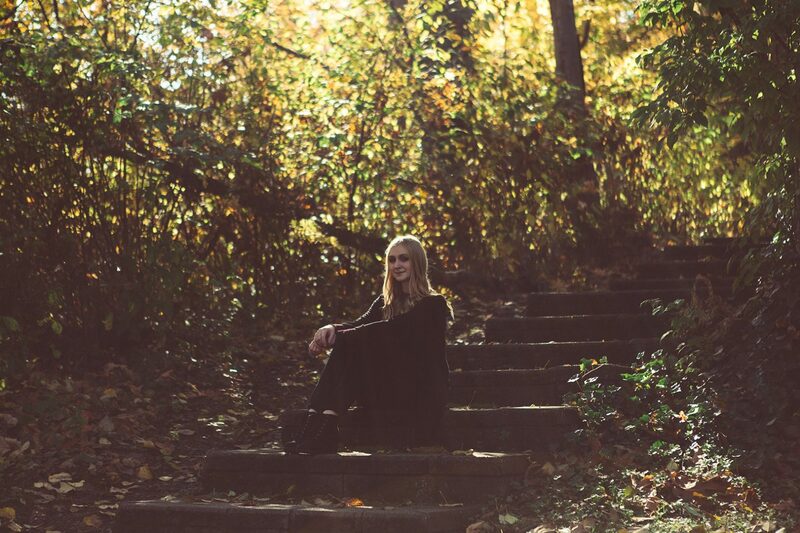 Check out more of Dayna's stunning photography on her website, or follow her on Instagram @Daynamariah!